I woke up around 3:30 a.m. local time to the sound of chirping birds (apparently, the title of Happiest Country on Earth includes wildlife because those birds sounded chipper all night long). After tossing and turning for a bit, I managed to fall back asleep until…11:30 a.m. Oops! Kurt and I didn’t want to sleep away half of our first full day, but so it goes. We rose and showered, then met up with our friends. The kids were ready for lunch and Kurt and I for breakfast, so we took the Metro two stops over to Nørreport, in the heart of the city. Right by the train stop, we went to Torvehallerne, which is a large market with indoor and outdoor vendors and tons of food stalls, booths, and wares. I went for a traditional porridge breakfast made with fresh organic ingredients from Grød along with my morning (noon) coffee, and Kurt got a Danish sandwich, coffee, and a beer (a.k.a. vacation mode). After lunch, we said goodbye to our friends who had family errands to take care of, and Kurt I headed out to sightsee on our own. Our first stop was Rundetaarn, or Round Tower, an architectural project of Christian IV built in the 17th century. The tower consists of a 209-meter long spiral ramp, built because the King wanted to be able to ride his horse all the way to the top. I love horses and tales of extreme hubris, so we needed to check it out. 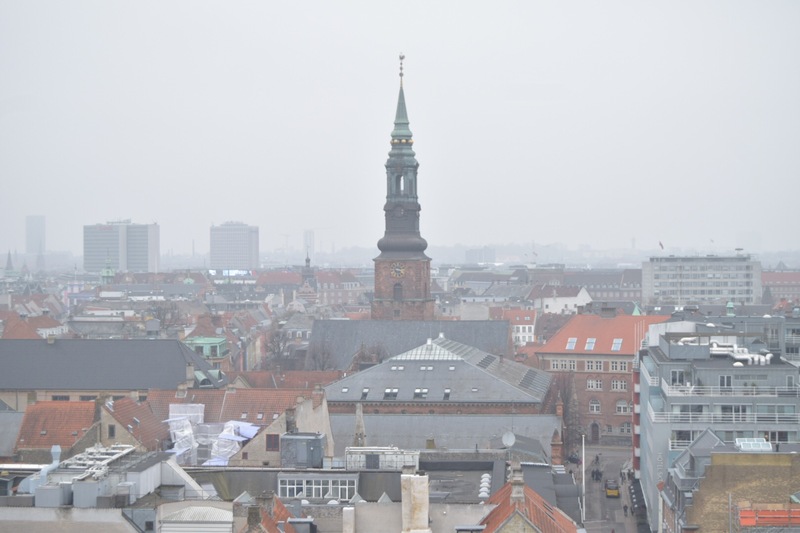 About halfway up the tower there’s a coffee shop and art exhibit, and then on the observation deck, you get a fantastic 360-degree view of Copenhagen. Selfies were taken. We wandered around the shops of Strøget for a bit, then found a sidewalk cafe to rest and enjoy a beer. The table seated next to us consisted of two British men around our age, so we ended up chatting with them for a bit, commiserating on the rough state of our countries. When we told them where we were from, they got really excited and told us that Chicago is their favorite U.S. city, which is always nice to hear. 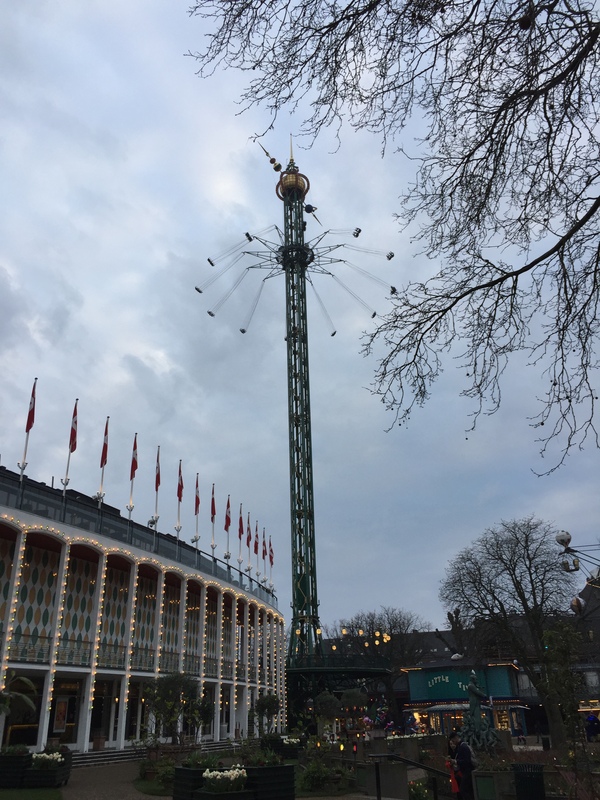 We did a bit more walking until we saw the top of the swing ride at Tivoli Gardens, so we headed in that direction. Tivoli is the second oldest operating amusement park in the world and our friends mentioned that it was a ‘must’ for our trip. We bought entrance tickets, then strolled the grounds and checked out the incredible gardens and classic rides and games. We saw the swing ride that lured us to the park like a beacon, and I couldn’t get over how high up it went. Definitely put the dinky swings at Six Flags to shame. 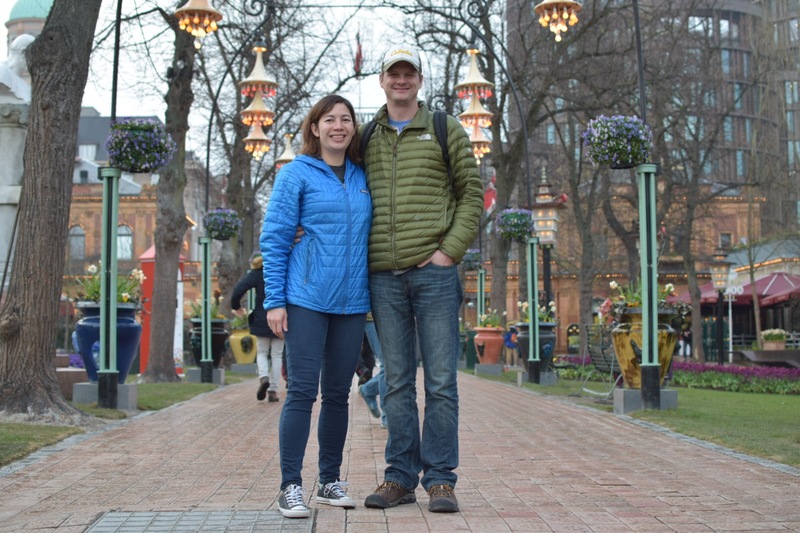 After leaving Tivoli, we continued our walking streak, burning off the calories from the schnitzel and chocolate mousse I’d consumed. We realized two key facts: we were less than 2 miles from our friends’ house, and there was a Mikkeller bar located on our direct route home. Wins all around! 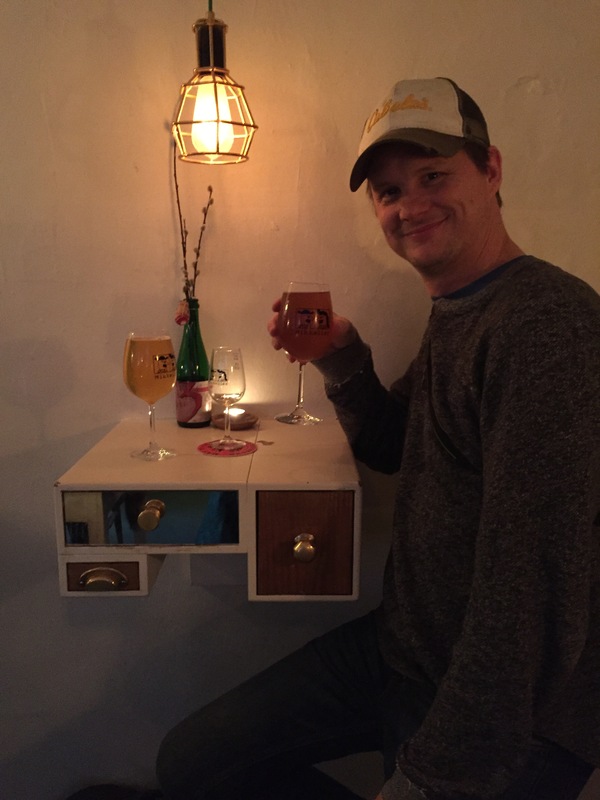 Our nighttime stroll turned into a lowkey pub crawl as we stopped for pints at Mikkeller, followed by a German bar, and ending at a neighborhood bistro. We returned home by midnight, the pints helping lull us to sleep (and onto a closer proximation to local time).